Port Douglas Reef Charters has a great Marlin fishing charter happening from 11th October to 15th October this year. Owing to a last minute cancellation our prime Marlin fishing charter boat has a vacancy. The captain and crew of our ultimate Marlin fishing charter are otherwise booked out until December. 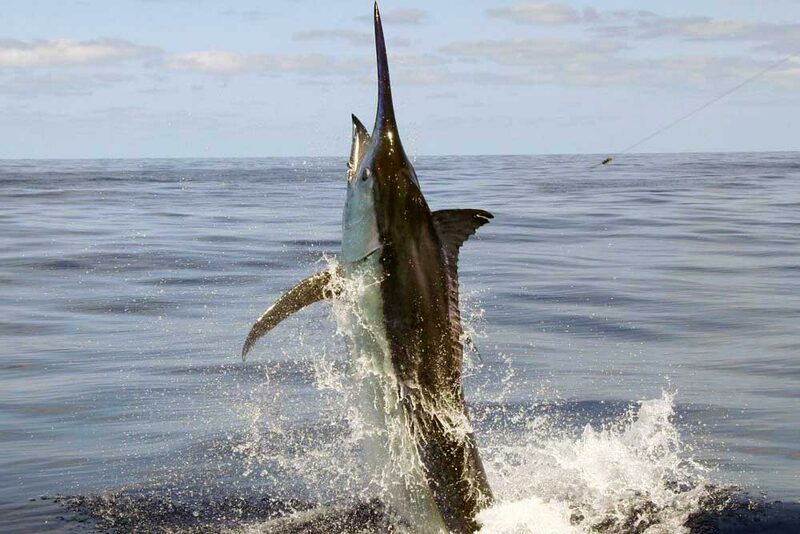 This ultimate Marlin fishing charter departs from Cooktown and returns to Cooktown. This means that on our Black Marlin fishing charter you will be fishing the prime grounds north of Lizard Island at quite possibly the very best time of the year for chasing big Marlin. The Black Marlin fishing grounds are a short hop skip and jump from Cooktown. This means that you can spend a lot more time fishing and a lot less time travelling. To get to Cooktown from Cairns for the Black Marlin fishing charter you can grab a flight through Hinterland Aviation – the cost per person for the flights is around $160. The Black Marlin fishing charter is for 5 days. The boat can sleep 6 anglers with comfort and style. The cost for your Marlin fishing charter is $3600 per day. This price includes all meals, crew, linen, fuel and the only thing you need to bring is a smile. You can also BYO alcohol on our ultimate fishing charter. This entry was posted in Fishing, Great Barrier Reef, Port Douglas News. Bookmark the permalink.